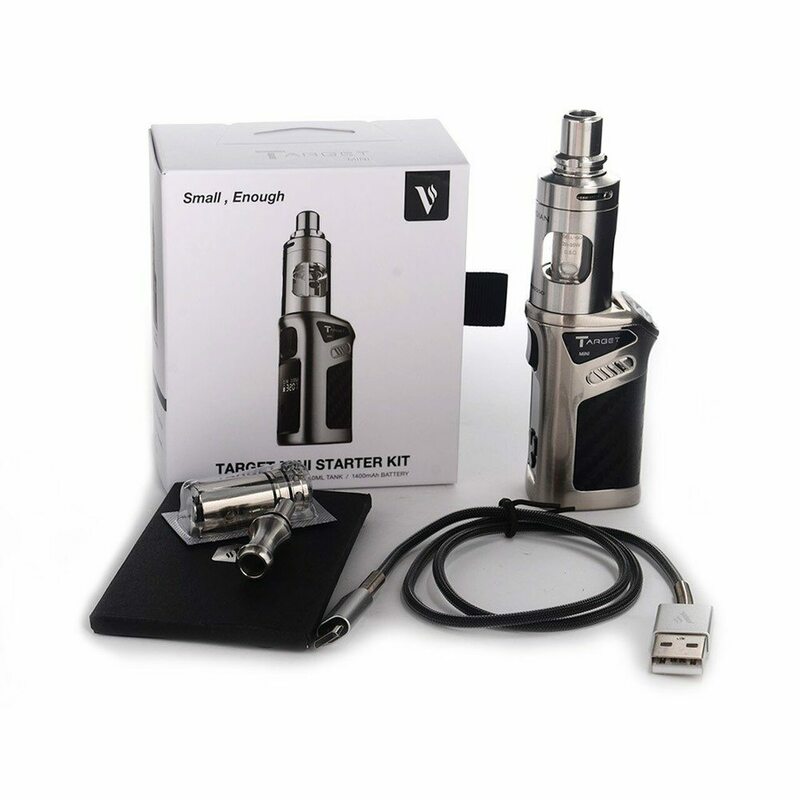 This mini kit is although small but it is capable of producing 40W. It is easy to carry as it is small in size. This mini kit is although small but it is capable of producing 40W. It is easy to carry as it is small in size. It operates with 1500Ah battery which has been professional adjusted into the leak free design, letting you experience clean vaping. There won’t be any problem of overfilling because the top filling with coil has been adjusted in the tank. It also features double child locking mechanism, making it safe and stable. The design of Target Mini Kit is same but it is compact so that you can easily adjust it in your pocket. The leak free design and child locking mechanism makes the product even more amazing. With the CELL Ceramic coil design, you can experience flavor production at its best. The vape is capable of lasting for one day, producing 40W output with o.5Ω coil.